Due to the complex political, economic, and safety history of vaccinations in the US over the past 3 decades, increasing numbers of parents have chosen not to vaccinate their children. Though disease rates have remained relatively low in the past decades, with periodic epidemics occurring among both vaccinated and unvaccinated populations even prior to the recently increased rates of non-vaccinated children, recent outbreaks of measles have raised increased attention to this phenomenon. But this article is not about vaccination choices or politics. It is simply about the symptoms of measles, risks of the infection, and natural options for supporting children with symptoms of uncomplicated mild to moderate measles. Regardless of your vaccination decision or beliefs, if your child has the measles, you need information on how to respond with healthy tips that keep your child feeling comfortable and getting well. Measles is a viral illness, and a highly contagious one at that. Like a number of childhood infections, it has a seasonal cycle, typically showing up in late winter and early spring. It’s so contagious that it affects every susceptible person who gets exposed. The disease is caused by a spherical, single-stranded RNA virus closely related to the canine distemper virus. Measles is transmitted person to person through large respiratory droplets and by airborne routes; in other words, through coughing and sneezing. It does not require any physical contact to pass it on or contract it. Following exposure, approximately 90 percent of susceptible people will get sick with it, to some degree or another. It’s commonly spread in public places, and can linger in the air for even a couple of hours after an infected person has left that space. It’s so contagious that if you’re susceptible, it’s recommended that you not go into rooms where there have been people with suspected measles, and for anyone who does have measles, or suspects they’ve been exposed, it’s recommended they avoid school or work from the 5th day to the 21st day after their own exposure to avoid infecting others. How do you know if you’re susceptible? Well, if you’ve been fully vaccinated, or had natural measles in the past, you’re most likely immune, but you can’t count on that 100%. Interestingly, there’s a less common form of measles that occurs in people who are exposed but had previous immunity either from a natural measles infection, because they were vaccinated, or because their immunity isn’t complete to the measles, for example vaccinations that weren’t fully effective, or rarely a history of the measles that didn’t confer complete immunity. It’s similar to the measles but can have a longer incubation period (2 to 3 weeks), is usually milder, and folks with it are generally not as contagious. So what does full on measles look like? Let’s talk about that next. The measles is about a 10-day illness that’s divided into four stages: the incubation period, the prodromal phase, exanthem (which means rash), and recovery. Incubation period: The interval between exposure and symptoms is 6 to 21 days. Most people have no symptoms during this phase. The prodrome: The prodromal stage typically lasts for about 2 to 4 days (though it may continue for as long as 8 days), and has symptoms comparable to those of other typical upper respiratory infections, with fever, loss of appetite, malaise, runny nose, cough, and conjunctivitis. The conjunctivitis severity varies and may be accompanied by an inability to tolerate light – called photopobia. The fever normally stays in the range of 101 to 103 degrees Fahrenheit at this stage. The symptoms usually start to intensify before the rash appears. Koplik’s spots, distinctive small white spots that appear on the insides of the cheeks, described as grains of salt on a red background, appear about two days before rash onset and persist for 1 to 2 more days after the rash is noticeable, for a total of 2-3 days, during which time the fever may get as high as 105 degrees Fahrenheit. Not everyone develops Koplik’s spots, and they are easy to miss if you don’t look during the right timing window – but if you suspect measles, and do see them, it’s a sure sign. Measles is most contagious during this stage of the disease and is generally considered to be contagious for 4 to 5 days before the onset of the rash and for 4 days after the rash appears. Recovery: Recovery begins after the symptoms have subsided, though a cough may persist for another couple of weeks. Children need a short period of convalescence after measles. It is important to allow a full recovery from measles, which can be an exhausting and demanding illness. Measles itself may cause some immunosuppression for a short time, making kids susceptible to other infections in the recovery period – so extra care is needed during this time. The child should be allowed to remain home from school and free from activities for at least several days after the symptoms have abated. The diet should be healthy and nourishing but still light. Is It the Measles, or Something Else? Of course, just because measles is going around, and your child has a fever, cold symptoms, or a rash, doesn’t mean he or she has the measles. Other conditions that might look like measles include common respiratory viruses like the cold, flu, or respiratory syncytial virus (RSV) that can mimic the prodromal stage, or viral rashes, for example, roseola (HSV6), Parvovirus, varicella, hand-foot-and-mouth disease, and rubella. A number of infections, for example, scarlet fever from Group A Strep, meningitis, Rocky Mountain Spotted fever, as well as others, Kawasaki disease, and drug reactions can cause related symptoms. The course of the measles, the symptoms, and the distinguishable rash that is more brownish and initially blanches under pressure usually differentiates measles clearly, but if you’re not sure, it’s important to get a proper diagnosis. If the exposure history and symptoms are strongly suggestive of measles, then this may be the basis of the diagnosis. Tests can also be done to confirm measles: blood testing can look for antibodies, a urine and throat swab culture can confirm the presence of the virus, and RNA testing (RT-PCR) can also confirm the virus genetically. Also, while I know that many parents prefer to avoid the medical system, especially if your child isn’t vaccinated, it is actually important to let your child’s doctor know if you suspect measles, and ideally have it confirmed and reported to the public health department. This is the only way statistics on diseases that help us as parents know when there’s an outbreak, can be maintained. In most cases, the illness is uncomplicated, and confers lifelong immunity. In recent national outbreaks, measles complications requiring hospitalization approached 30% of all cases, which is quite high; most hospitalizations have been for ear infection and pneumonia. Acute disseminated encephalomyelitis (ADEM) is a demyelinating disease that occurs in about 1 per 1000 measles cases. It begins in the recovery phase of the measles with symptoms similar to encephalitis, and can lead to permanent neurologic consequences. Most kids who do get the measles are not going to have these horrible – even terrifying – consequences. 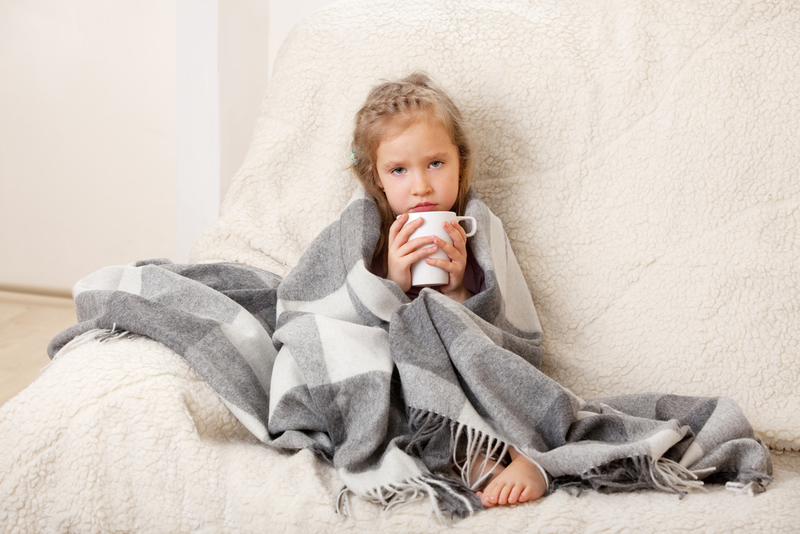 Some kids will even have super mild cases – so much so that you’re not sure if it’s a cold with rash or ‘the real deal.’ Most kids will get through just fine, but it can make them really miserable for a good 10 days. Prior to vaccinations it is thought that anywhere from 400,000 to 4 million cases of measles occurred annually in the United States, with approximately 450 deaths. While fatalities in wealthier countries are now rare, complications still do occur, and it’s good to know what they are so you can be alert to them. Understanding and having respect for this illness, and being prepared, including knowing what to look out for that tells you the course of the illness is normal – or not – is therefore important, for the health and safety of your kiddos. Integrative medicine takes into account the severity of the condition, and all of the best options for treatment – conventional therapies and natural options – and applies the safest, most effective strategies to help a person get well. For uncomplicated measles, conventional medicine has little to offer beyond simple comfort support, for example, ibuprofen and Tylenol, though Vitamin A therapy is promising and if there are suspected or known complications, for example, pneumonia, conventional medicine is definitely the necessary choice. Natural therapies can make your child more comfortable, while also possibly helping to support immune health and reduce complications. If your child has the measles, it is important to let your child’s doctor know with a phone call to the office. Given the contagious nature of the condition, it may not be advisable to simply bring your child in for an exam and sit around the waiting room running the risk of passing the infection on to others. So your child’s doctor may have you brought right into an exam room if an appointment seems necessary. Either way, informing your child’s doctor that you suspect measles is important for gathering public health statistics. Measles treatment consists primarily of keeping your child comfortable, maintaining bed rest, and providing quiet activities to help pass the time. Rest and fluids are key. Antibiotics are not effective against measles, as it is a viral infection; however, physicians may prescribe antibiotics in the event of a secondary infection, and new evidence suggests this may even be a reasonable strategy to prevent ear infections and pneumonia in kids with measles. Acetaminophen (for example, Tylenol) or ibuprofen (for example, Advil) may be given to control fever, but aspirin should never be given to children suspected of having measles as it can lead to a serious complication known as Reye’s syndrome. Eye secretions from conjunctivitis should be cleansed with warm water (or saline available at the pharmacy), and tepid baths can be comforting. For children with light sensitivity, their room should be kept dimly lit. Medication for itching can be applied to the skin, and a humidifier can be used to reduce cough and nasal congestion. The World Health Organization (WHO) recommends that Vitamin A be given to all children with acute measles, including for severe cases even in the US and other countries where it’s not usually as serious a disease as it is in places like Africa where malnutrition is rampant. Giving Vitamin A to kids with measles is linked to lower complications and death. Even in the US kids have been found to have low Vitamin A levels, and kids with these lower levels have also been found to have more severe measles. Because the doses are very high, and Vitamin A can cause toxicity, I recommend having your child’s medical provider prescribe the Vitamin A . If you live in an area currently experiencing a measles outbreak, or live in a community where measles rates are higher, consider daily supplementation with Cod Liver Oil, which is rich in Vitamin A, to keep levels boosted, though this is not an alternative to the above recommended acute treatment, which is a much higher dose. While for most children, measles is a lengthy and very uncomfortable but relatively minor illness, see your doctor if your child seems especially uncomfortable or if the illness is not following a typical course. Should your child at any time exhibit symptoms such as a painful cough with difficulty breathing (possibly pneumonia), severe headache or convulsions (possibly encephalitis), drooling or difficulty swallowing, hearing difficulty, or if there is any other indication that your child is seriously ill, SEEK MEDICAL CARE IMMEDIATELY. No disrespect to any providers, but this is NOT the time to seek alternative medical advice, or to use alternative therapies in lieu of necessary conventional options. Measles complications call for the help of a medical provider licensed to practice pediatrics (a pediatrician or family doctor, an emergency room doctor, or a nurse practitioner trained in pediatrics and licensed to treat children, for example). This is not a time for unproven therapies. Hospitalization may be required. Keep your child home from school and other engagements. Encourage rest and quiet activities from the time of exposure or onset of the illness until the rash begins to fade. Keep the lights dim if they bother your child’s eyes. Cleanse eye secretions from conjunctivitis with warm water (or saline), and tepid baths and agents to reduce fever are often given. Medication for itching can be applied to the skin, and a humidifier can be used to reduce cough and nasal congestion. Other susceptible family members may also have been exposed to measles. Keeping them at home may also be advisable, as it avoids spreading the illness to others. Conventional comfort measures for rash, aches and pains, sore eyes, and other symptoms can be used, or the alternatives below tried instead or in conjunction. While there’s no proven diet to help heal the measles, or make it any easier, in general a light, nourishing diet that’s easy to digest and easy to swallow if there is sore throat, is advisable. Fluids are especially important for preventing dehydration. If your child won’t take water or tea, you can make homemade juice pops (and for an added bonus, you can make herbal-juice pops!). Avoid all added sugar, which lowers immunity, including all sodas, bottled fruit juices, and milk. I do recommend the vitamin A as described above, and a probiotic and zinc can be helpful for immune support and preventing secondary infections like ear and respiratory infections. My preference is to try natural comfort support before turning to Tylenol and ibuprofen if possible, though if your child is extremely uncomfortable, those are reasonable for the peak fever and discomfort days – for up to 2 to 3 days max in a row to avoid complications from those medications. The remedies below may also be helpful. Earache oil has been shown, in studies, to be helpful in reducing symptoms and preventing the need for antibiotics, as has echinacea, while a number of herbs have been shown to be helpful for fever symptoms, cough, and tummy discomforts. You can find the recipes below, and much information on how to use herbs for common children’s conditions, including how to make preparations at home, Click here for my free ebook, Herbs for Kids, and many more in my now classic book, published in 2000, Vaccinations: A Thoughtful Parent’s Guide available here. The following supplements can help to boost immunity, may prevent secondary infections, and speed recovery. I do not recommend these for children under 2 years old without support from your child’s physician. Follow age appropriate dosing on the supplement packaging. General ranges are provided for children ages 2-14 below. Take at the onset of illness and continue for a few days after symptoms have resolved. The herbal recommendations below are considered safe and are used to help with the symptoms of measles. High quality bulk herbs for making teas can be purchased from Mountain Rose Herbs online. Fever itself is not an illness; it is the body’s healthy and active response to illness. Fever plays an important role in the immune response, stimulating the production of antiviral chemicals such as interferon. Keeping your child hydrated and making sure there are no underlying infections, for example pneumonia, is essential. Tepid baths can be helpful. Medications like Tylenol and ibuprofen typically only bring the fever down by 1 degree, but do reduce inflammation so can relieve aching. If your child has a high fever (>103° F), seems listless or unresponsive, has a severe headache or other serious symptoms, or if the fever persists much beyond when the measles rash appears, please have your child seen by his or her doctor. Many of the herbs that can be used to keep children comfortable during fevers, and which are mildly antimicrobial, also keep the fever from soaring too high. These include lemon balm, catnip, elder, spearmint, and chamomile. These are best used singly or combined as a tea. Combine the herbs and steep 1 tablespoon of this herbal mixture in 2 cups of water for 15 minutes. Strain and lightly sweeten the tea with honey or maple syrup. Serve hot to promote perspiration and reduce achiness. Give as often as needed throughout the course of illness, up to 1-quart daily. It is very pleasant tasting. Buckwheat honey, taken by the teaspoon, has been shown to be one of the most effective, non-pharmaceutical cough remedies we have, and is safe for children over 1 year old. Herbs such as marshmallow root, licorice root, thyme, anise seed, wild cherry bark, and slippery elm bark root can also be very helpful in soothing a cough. For herbal cough remedies you can make at home, Click here for my free ebook, Herbs for Kids. Simmer 1/2-ounce of the above herbs, combined, in 2 cups of of water in a covered pot, reducing it to 1 cup of water. Then add 1/4 cup of unfiltered honey. Give 1 tsp to 2 TBS every 2-4 hours as needed, to children over 1-year old only. Prepare an oatmeal bath by taking a handful of rolled oats and put them into a clean cotton sock. Tie the sock closed with a rubber band and place it in warm water in the bathtub. Squeeze the sock under water until the oats start to release a milky liquid, and gently rub this over your child’s skin. It is soothing and really relieves the itching for a while. Herbs such as calendula, licorice root, and marshmallow root can also be used topically in a washes, compresses, and balms to soothe the skin. Chamomile compresses are reliable for soothing sore eyes. Simply make a cup of chamomile tea, strain well, and apply to the closed eyelids with a cloth, warm or slightly cool as preferred by your child. Repeat as often as needed. A small silk pillow filled with flaxseed is very soothing for older children when placed against the closed eyes. Chamomile compresses are also soothing for conjunctivitis, though I steep the tea with ¼ tsp of goldenseal to add antibacterial action (take care – the goldenseal stains things yellow much the way turmeric does). If you are breastfeeding, breastmilk is also a treatment for conjunctivitis. For older children who can do it, try a salt water gargle (1/4 tsp. sea salt in 1/4 cup of warm water), which can be done every couple of hours. Sage Throat Spray, also available from the companies I mentioned above, can help relieve throat discomfort. If there is ear involvement, use Garlic-Mullein Eardrops. The drops can be made at home, or purchased at health food stores or online. To prepare Garlic-Mullein Ear Drops at home, place 1 peeled, chopped whole bulb of garlic and 1/2 ounce of mullein flowers into a pint jar. Fill the jar entirely with olive oil and stir the ingredients lightly with a chopstick or butter knife to release air bubbles. Cap and store in a cool, dark place for 1 week. Strain and place in a clean bottle. Label and store for use. To apply the eardrops, have the child lie on his or her side with the affected ear facing the ceiling. Pull back gently on the earlobe and drip five drops of slightly warmed oil into the ear canal. (Warm the oil by placing the bottle in hot water. Test the oil on the inside of your wrist to avoid burning the child.) Do not insert the dropper into the ear canal, just the drops. Have the child lie in this position for five to ten minutes. Repeat every few hours, treating both ears if necessary. If your child does happen to get the measles, hopefully it will be a quick “here and gone” childhood illness without much fuss. In otherwise immune healthy children, this is often the case, and having the measles usually confers lifetime immunity against this virus. Additionally, women who had natural measles infection as kids may pass on protective antibodies to their babies when they have kids, thus providing her baby with natural immunity to measles for up to his or her first two years of life. In general, after an illness, we tend to need to hurry to get back to work, and get our kids back to school. My great grandma was a Hungarian herbalist and I remember her advice and admonition to my mom – let the kids stay home after an illness for one day for every day they had fever to prevent a relapse or another infection from taking hold. While staying home an additional 10 days after measles might not be realistic, taking it easy and keeping the immune system well supported is wise, given the risk for secondary infections. And indeed, many of you have probably experienced your kids having recurrent coughs, colds, or ear infections, or new ones on the heels of one that just passed through your household. A restful few days post-illness of easing back into things, while being supported by a nourishing diet, and even some remedies like echinacea, zinc, vitamin C and a probiotic might be helpful for a week or so. If you want to be really prepared to recognize common symptoms and conditions in your child, and have the tools you need to know when medical care is necessary, when you can treat naturally, and what to use, I highly recommend joining my online course, Healthy All Year, where you’ll also have access to all of my top remedies, more information on common childhood illnesses, and instruction, including numerous videos, on how to prepare herbal remedies at home. It’s been my lifelong joy to support families in knowing how to raise naturally healthy babies and children. My deep belief is that most of the time, natural approaches work incredible wonders, but it’s also important not to throw the baby out with the bathwater, so to speak – and to do this we have to be knowledgeable of the whole story. I hope you’ve found this helpful and will share it with a friend. Avota E, Gassert E, Schneider-Schaulies S. Measles virus-induced immunosuppression: from effectors to mechanisms. Med Microbiol Immunol 2010; 199:227. Bellini WJ, Rota JS, Lowe LE, et al. Subacute sclerosing panencephalitis: more cases of this fatal disease are prevented by measles immunization than was previously recognized. J Infect Dis 2005; 192:1686. Bester JC. Measles and Measles Vaccination: A Review. JAMA Pediatr 2016; 170:1209. Kabra SK, Lodha R, Hilton DJ. Antibiotics for preventing complications in children with measles. Cochrane Database Syst Rev 2008; :CD001477. Moss WJ. Measles. Lancet 2017; 390:2490. Naniche D. Human immunology of measles virus infection. Curr Top Microbiol Immunol 2009; 330:151. Perry RT, Halsey NA. The clinical significance of measles: a review. J Infect Dis 2004; 189 Suppl 1:S4. Romm, A. Vaccinations: A Thoughtful Parent’s Guide. Healing Arts Press. 2001. Rosen JB, Rota JS, Hickman CJ, et al. Outbreak of measles among persons with prior evidence of immunity, New York City, 2011. Clin Infect Dis 2014; 58:1205. Wendorf KA, Winter K, Zipprich J, et al. Subacute Sclerosing Panencephalitis: The Devastating Measles Complication That Might Be More Common Than Previously Estimated. Clin Infect Dis 2017; 65:226. Zeng SZ, Zhang B, Zhang Y, et al. Identification of 12 Cases of Acute Measles Encephalitis Without Rash. Clin Infect Dis 2016; 63:1630. Zenner D, Nacul L. Predictive power of Koplik’s spots for the diagnosis of measles. J Infect Dev Ctries 2012; 6:271. Thank you for addressing this topic in such a level-headed, non-hysterical way. So much of the measles discussion online is, well... not. But I have a question. Why do you recommend beta-carotene instead of pre-formed vitamin A? Do you have experience with both, and find the former more effective? Are there any studies that compare the two, or even just look at beta-carotene? I've only seen recommendations around pre-formed A, which seems like a more prudent choice given the short duration of using it and what seems to be a lot of variability in how people convert beta carotene into A. Thanks! Hi Aviva My daughter is wanting to become pregnant. She has no rubella antibodies and has been advised to have the vaccination before becoming pregnant. I am interested in your thoughts about this. Thank you in advance. Hello, I am so glad I found your website, and appreciate your approach in discussing measles and vaccinations in general. My 8 year old daughter is unvaccinated. She has reactive asthma, and has had pneumonia 3 times. Given the current spread of measles, I have been thinking about getting her the MMR vaccine. However, I don't want to respond in fear! Would you tend to recommend this vaccine for a child who tends to have lung issues? Is the measles more dangerous for children with asthma? A better understanding of this will help with my decision. Thank you so much for your great work and for your time in responding! Hi Aviva, Thank you for posting. Where do I get beta carotene in these amounts for toddlers? I am only finding softgels (25,000 IU converted to 15 mg Vitamin A). Also, do you know if a child who seems to have reactive airway disease (too young to diagnose, but had RSV as 5-day old newborn which turned to bronchiolitis and gets very junky with colds) is more likely to develop complications from measles? We were intending to delay MMR until age 4 due to side effects (and severe mental illness runs in our family - trying to have a balanced approach to give our kids best chance of not developing) but I am unsure with recent outbreaks. My infant turns one this month. Thank you!! Thank you for such an informative, honest, and helpful article. Actually the ONLY non-hysterical and non-polarizing article on measles I've read in some time LOL. So,thanks! Here's a question: we currently don't live in the US, but have a visit planned in August. We have 5 kids, ages 4-14. The 14 yr old had one MMR vax when he was four yrs old, had a reaction of high fever (105, and he almost never runs fever! ), thus the rest never got any doses of MMR. I am considering giving the vax before we come. Is it worth it if they'll only be able to get one dose? Is measles usually an issue in the summer? My 4 yr old has had only 3-4 shots and she had reactions to all of them, so I'm hesitant...would love to hear your thoughts. Thanks again for a great article. Hello Aviva, My son was given the MMR vaccine back when he was 2 years old. He is now 4 years old and I'm almost certain it is recommended children have a booster shot between 4 and 6 years old. Is this something I should make a priority to do since there is an outbreak going on? I also read that anyone born before 1986 (that's me) most like did not receive a booster shot and should also do so. Any advice there? Thank you! All the studies showing the benefit of vitamin A during the measles were done with very high doses of retinol, like 400,00 IU. (It's not clear that you need that much when your vitamin A status is good) When you're sick with the measles, it's impossible for the body to convert enough beta carotene during the measles. Vitamin D is known to counteract toxicity of Vitamin A. Hence, the value of cod liver oil. It is contraindicated for use in pregnancy, in fact! It can't be given during or within 3 months of becoming pregnant. Realistic and Practical timely information! I shared this on my FB page. Thank you so much for this excellent and sensitively written article. There has been so much in the news and in social media about the pros and cons of vaccination for measles but little information has been available regarding the care of children who contracted the disease. Thank You, Aviva Romm once again for your very valuable information! I respect your work greatly! I am 65 years old. My siblings, friends, classmates, neighbor kids and I all had both kinds of measles, chickenpox and mumps as children. These were normal childhood illnesses that ran their course through families, neighborhoods, churches and schools and there was no fear surrounding them. They were something to 'get', get over and never have again. The hardest part was probably for the moms caring for the kids who no doubt got sick at different times and passed it along to family members. So, caring for sick kids could go on and on ......and on and on in large families. Bless the moms!! And worry less. We older baby boomers survived and thrived without the vaccinations (which didn't exist then) and there are a lot of us still around to talk about it. Excellently written article. I'll be passing it along to my patients. Regards, Dr. Erica, D.C., D.I.C.C.P.